Do you find yourself awake at night and sleepy during the day? You’re not alone. According to a recent Harvard study, nearly one in four Americans do not get enough sleep, and it’s costing them. Going without sleep is linked to weight gain, loss of cognitive ability, and even poor heart health. Dr. Maiken Nedergaard, a professor of neurosurgery, says sleep acts as a “dishwasher” for toxins in the brain and body. Without it, you find yourself in much worse health. Luckily, there are many insomnia home remedies so you can take control of your sleep health. Herbal tea is a fantastic way to curb insomnia due to its abundance of the antioxidant apigenin. According to a National Institute of Health study, apigenin is especially helpful in fighting cancerous compounds and tumor creation. If you’ve ever needed an excuse to make time for a soak, this is it. Research shows that taking a warm bath or shower before bed is a fantastic way to combat sleeplessness and allow stress to melt away. Dr. Bobby Buka, a dermatologist, says “Your skin releases endorphins in response to the soothing warm water the same way that endorphins are released when you feel the sun on your skin,”. Many cultures ascribe to the idea that hot water is healing for the body and soul, as evidenced by the Finnish love of the sauna, the Hamam in Turkey, or sentos in Japan. Take some wisdom from these ancient healing practices and fight restless nights the most relaxing way possible. Melatonin is a naturally occurring hormone in the body. It’s integral in controlling when you wake up and when you fall asleep. Before the invention of electricity, humans typically slept when the sun was set and woke when it had risen. In today’s world of near-constant artificial lighting, this isn’t usually the case. Melatonin comes in an over-the-counter pill form to supplement your body’s natural sleep regulation and can help when you have troubles falling asleep and staying asleep and need one of these insomnia home remedies. Phone screens, TV screens, and computer screens are some of the most detrimental things to your sleep health. The blue light that electronics emit, according to Harvard Health, is similar to the light from the sun and disrupts our natural sleep processes. Coffee is the fuel that most of us run on, but do you often find yourself running out of gas in the evening and opting for more caffeine? This could lead to hours of poor quality rest. A great insomnia home remedy is cutting out caffeine after 2:00 pm, or trying to go without for at least a week. This detox time can reset your natural clock and guarantee that you’re able to doze off at the end of the day and wake up feeling much better rested. Who knew that sleeping better would be so tasty? Salmon is high in the omega-3 fatty acid called DHA. This vital fat is an integral component of the structural makeup of the heart and is naturally occurring in human breast milk. Lavender contains terpenoids that relieve nervous tension when inhaled and is a great way to promote relaxation. Research has shown that tonics, salves, and even aromatherapy mixtures containing lavender work great for managing a lack of sleep at home. Even before the dawn of Christianity, healers have used this common weed to induce calm and even treat depression. Not only does the plant fight depression and improve mood, it also has been shown to aid with insomnia by calming the nerves and acting like a mild version of an anti-depressant. German physicians, according to the American Journal of Natural Medicine, prescribe St. John’s Wort for sleep issues and depressants more often than Prozac, making it a medically viable at home treatment for anxiety and restlessness. The California poppy is the beautiful state flower of California and packs some serious healing punch when brewed into an aromatic tea. The parts above the root of the flower are used to promote restful sleep and relaxation, making this insomnia home remedy a breeze. This red-orange flower is only distantly related to its cousin, the opium poppy, and instead contains sedative alkaloids that aid in relaxation. There’s a reason people usually sleep so well during rain storms. A study from the journal Scientific Reports found that our brains produce calming chemicals when exposed to calming sounds, such as rain on the rooftop or a babbling brook. A white noise machine or even a fan can be a great tool to block out the sounds that most of us encounter that can be detrimental to restful sleep. It’s time to dust off those sneakers for this insomnia home remedy, because experts have found that maintaining a healthy exercise routine can help eliminate sleeplessness, depression, and also anxiety. By consistently working out early in the day, you’ll be able to speed up your metabolism and regulate your circadian rhythm to find better, more restful sleep. If you’re not lactose intolerant, there’s nothing that takes you back to childhood like a small glass of warm milk to settle your stomach and send you right to bed. A small glass of milk before bed not only cures heartburn and aids with digestion, but also contains tryptophan, a compound that aids in the creation of serotonin and melatonin, two chemicals that regulate healthy sleep. 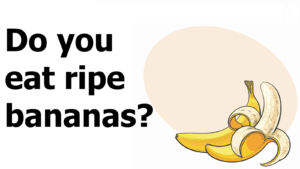 Besides the potassium, bananas have curative use beyond preventing cramps. Next time you’re up late and wide awake, eat a banana and gain the benefits of magnesium. Magnesium also helps with cramps, but is mainly known for regulating hormone balance and brain temperature. Bananas are high-carb alternate to bread or pasta. Carbs make you sleepy, but opting for a banana instead of something heavier will help you sleep much better as you digest. Ancient cultures used cumin for its curative properties a millennia ago. Ancient Greeks even went so far as to keep cumin on the table as we do with salt and pepper. Take some notes from them and incorporate this digestion aid into your diet. Cumin helps you digest foods more efficiently, and in turn, helps you sleep better. Poor digestion is often a culprit of insomnia, so take care to eat long before bedtime and eat lots of healthy foods. In addition to these healing benefits, regularly ingesting apple cider vinegar can contribute holistically to sleep health by fending off sickness and helping you maintain a healthy body and digestive system. Not getting enough sleep doesn’t have to be a life sentence. By using these 16 insomnia home remedies, you will be able to treat your lack of sleep naturally and finally feel well rested. Good sleep is a holistic pathway to better health and is something we too often don’t make a priority. Make a change today and focus on your own health, starting with when your head hits the pillow.